Part Number: 10XX-I / 11XX-I. 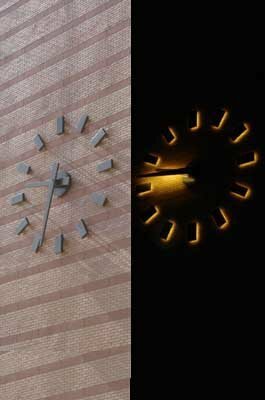 Style 1000 and 1100 tower clocks can be supplied backlit, halo-lit or reverse lit with LEDs on the back or front of hands and dial markings. Also available with color-changing RGB LEDs. Contact factory for specific application. LED wiring diagram available – request drawing A-9353 from factory.